Some jazz musicians confess freely that their early classical music training dramatically influenced their proficiency on their instrument, while others like to keep it under their hat. In most cases the works they studied so diligently never see the light of day again. But with Hubert Laws it is different. The American is a living example that a musician can do the one while not forgetting the other. With his instrument, the traverse flute – which takes a back seat in the family of jazz wind instruments such as the trumpet, sax and others – Laws went on to pursue a double-tracked career. Aged only 15, he founded the Jazz Crusaders together with Joe Sample. 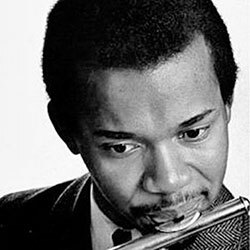 After completing his study of the classical flute at the Juilliard School, he performed with such jazz greats as Clark Terry, Benny Golson, Ron Carter and Billy Cobham. At the same time he was solo flautist at the Metropolitan Opera and a concert soloist with the New York Philharmonic. 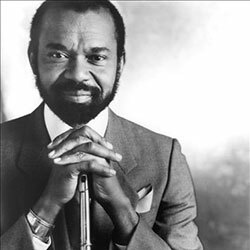 In the middle of his creative period from 1969–1974 he recorded the album Afro Classic, and here nomen est omen. Following on the noisy, archaic sounds in Fire And Rain we find a solid mambo groove, enwrapped with the sound of the then popular Rhodes piano. Laws’ Bach arrangements are free from the topical craze for fusion; they are well balanced and have perfect harmony. The ensemble conjures up the timeless art of the old masters, supported by bell-like sequences and grating bass lines through which the pure sound of the flute weave. It appears that Laws wanted to pay homage to just one of the many ways of playing Bach’s music, which range from the original instrumentation to the Moog synthesizer. There are many ways of crossing the borders from one epoch to the next, but Afro Classic takes us beyond the horizon. This album is a tonal ambassador for Laws’ vision of a truly One-World Music.